If you know me well enough, you know that I HATE potatoes….baked or mashed that is. 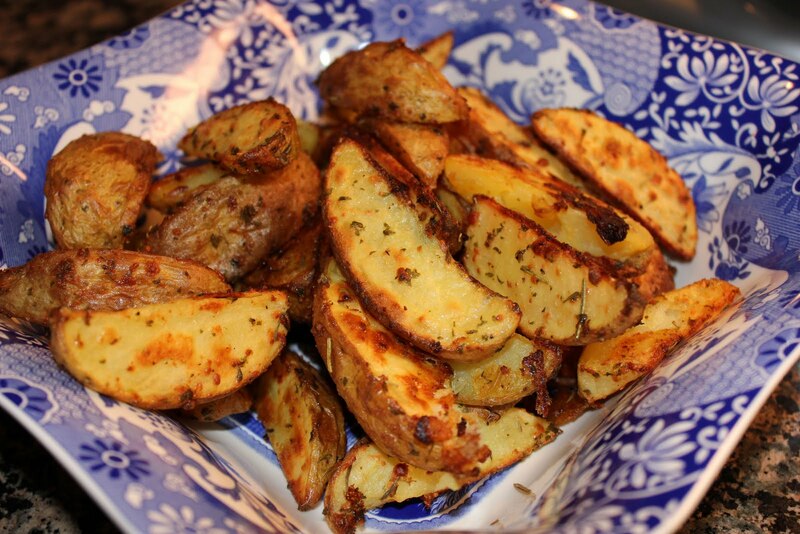 Roasted potatoes on the other hand, I absolutely LOVE! I think the mushy texture of baked or mashed potatoes are what get me. However, if there is something I can “crunch” on, like these crispy potatoes, I will love it. I made these Parmesan Roasted Potato Wedges earlier this summer for girls night with my mom and sister. I served them with grilled chicken and fruit, and it was delicous. I think a steak or pork tenderloin would pair perfectly with this side dish as well. As far as taste goes, the potatoes were great..soft in the inside, crispy on the outside! In my opinion, Parmesan cheese can make almost anything taste good. I’m also a huge fan of olive oil…its bold and delicious. 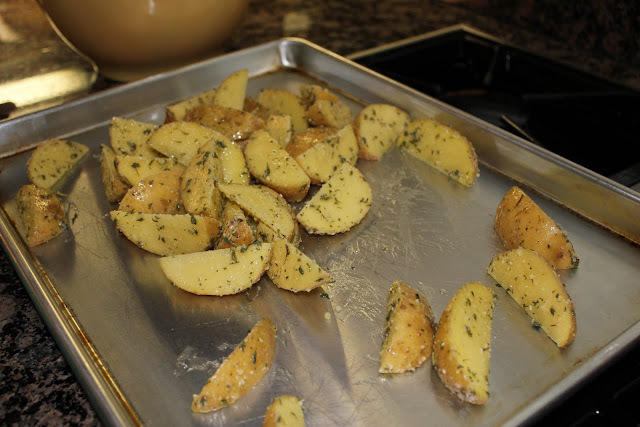 The Italian herbs and seasoning added to a powerful yet wonderful flavor to these potatoes as they perfectly browned in the oven as they roasted at 450 degrees F.
Toss potato wedges with olive oil, herbs, salt & pepper, and parmesan. Bake for 40-45 minutes at 450 degrees F. tossing 3-4 times in between. 2. 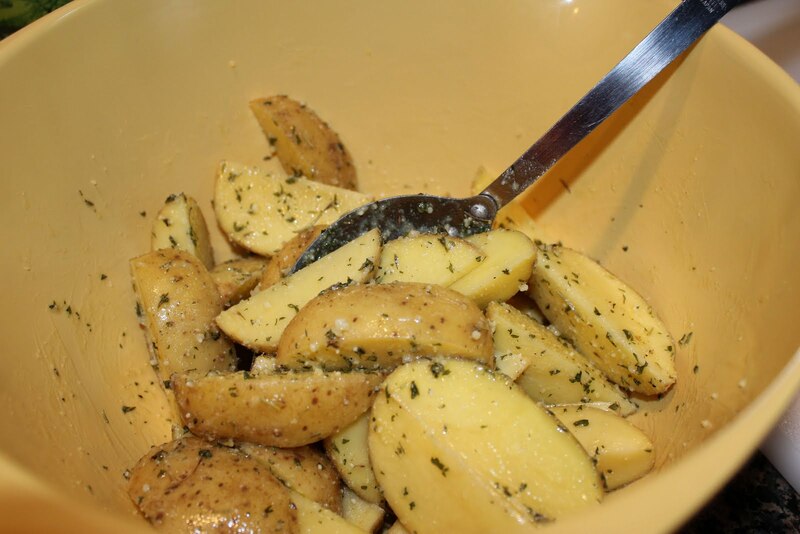 Cut potatoes in half lengthwise, then 2 more times to create a ‘wedge.’ Toss with olive oil, herbs, salt & pepper, and parmesan. 3. Spread on a baking sheet and bake for 40-45 minutes, tossing 3-4 times in between.